In Pennsylvania, a shoplifting conviction can result in serious penalties, including large fines and jail time. The shoplifter could also potentially face a civil lawsuit from the victim. Pennsylvania state law refers to shoplifting as “retail theft.” This crime occurs when a person takes any piece of merchandise from a retailer without paying the full retail value and with the intent of depriving the seller of that money. Other actions, such as removing or changing the amount on a price tag or label, transferring items into different containers, or attempting to use the cash register to “under-ring” the item all constitute retail theft, as long as there is an intent to deprive the seller. A merchant who suspects an individual has shoplifted has the legal right to detain that person long enough for police to arrive. Theft of less than $150 in merchandise (no priors): Penalties in this situation include up to $300 in fines and/or up to 90 days of jail time. Theft of less than $150 in merchandise (one prior): This crime is classified as a second-degree misdemeanor, punishable by up to two years in jail and/or up to $5,000 in fines. Theft of more than $150 in merchandise (one or no priors): This crime is classified as a first-degree misdemeanor and can result in up to five years of jail time and/or up to $10,000 in fines. Theft of merchandise of any value with two priors: This crime is classified as a third-degree felony and can result in up to seven years of jail or prison time and up to $15,000 in fines. Theft of more than $2,000 in merchandise or theft of a firearm: This crime is classified as a third-degree felony and may result in up to seven years of incarceration and up to $15,000 in fines. 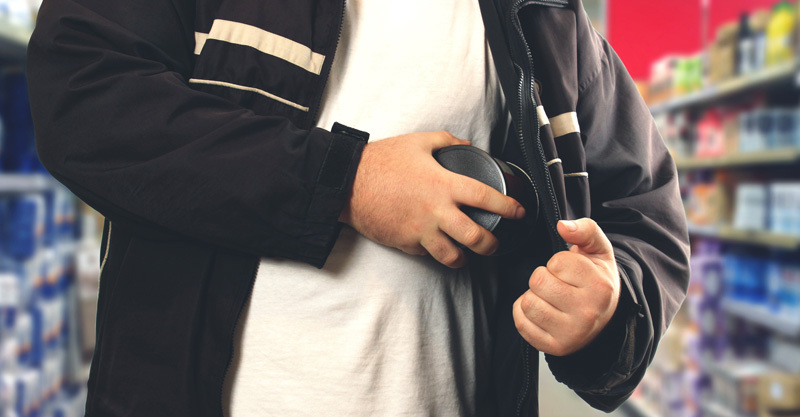 To learn more about the penalties associated with shoplifting in Pennsylvania and your defense options, speak with a dedicated Philadelphia criminal defense lawyer at The Law Offices of David Jay Glassman. You can reach us online or call 215-563-7100.